“One must walk before one can run.” This statement is true in almost every facet of life. Do you remember playing football for the first time? It was truly a test of athleticism and courage as well as skill. However, a quarterback does not usually start out by throwing touchdowns. Even the great Brett Favre most likely started at square one. A player usually starts “walking” by playing peewee football. When one starts learning something new, no person typically masters the skill immediately. One needs to practice, practice, practice. This is the same with the law. Law school classes teach you substantive law. However, you do not necessarily learn all you need to know to practice in the real world. This is where the importance of an internship comes in. I believe that a law school internship is vital to a law school education. I am currently interning with the Wisconsin Supreme Court. My internship is an extremely valuable experience because it is exposing me to the inner workings of our state’s highest court and, at the same time, forcing me to further develop my research and writing skills. An internship can give context to what is learned in law school, teach one valuable legal skills, and also help students’ resumes stand apart. Marquette University Law School has a highly respected internship program. The Marquette internship program has a vast array of available positions. For the fall, spring and summer semesters, the school accepts applications for the positions (look for the announcements in the news and notes). The school works hard to place individuals in these positions. The process is somewhat competitive, but the law school attempts to place everyone. An internship can give context to what is taught in law school because it shows how general legal principles play out in the courtroom or in other various legal venues. In my short time with the Wisconsin Supreme Court, I am being given the privilege to see the inner workings of the court. I see how my legal research and writing even help the justices to decide important issues before the court. The most beneficial experience I am being given is the time I spend discussing legal issues with both the justice and his clerk. They push my understanding of legal topics by questioning me on the different facets and implications of the legal issues the justices are deciding. These challenges push me to think on my feet and react. I also have the opportunity to witness oral arguments. I am not sure about you readers, but I am a little bit of an adrenalin junky. I can tell you first hand that those attorneys arguing before the Wisconsin Supreme Court are like quarterbacks up facing the legendary sack master Reggie White. The justices’ questions are like all pro defenses attempting to find the holes in the offense, except all this takes place in a court. The justices look for flaws in the various attorneys’ arguments. These attorneys, with all their skill, are trying to score a touchdown by having the justices accept their positions. The importance of both written and oral communication is evident from observing the arguments. An internship can also teach valuable legal skills because it forces one to create legal memoranda and briefs. The difference between life and school is best summed up in the following quotation by Tom Bodett: “[i]n school you are taught a lesson and then given a test. In life you are given a test that teaches you a lesson.” In my experience at the Wisconsin Supreme Court I have been given meaningful projects with real deadlines. My work product helps the justices make their decisions. I feel my involvement in a small way is still an important step in the judicial process. An internship can also help individuals stand out in comparison to competitors seeking the same legal positions. To prospective employers, an internship may be the difference in getting a job. In today’s market, it is difficult to find a paying position as a clerk, summer associate, or, eventually, even as a licensed attorney. As such, it is critical to make every effort to make yourself more desirable to prospective employers. An internship can help one do this because it gives a person experience and also, hopefully, a good reference. An internship can be your first step in establishing your legal reputation, which is extremely important to the practice of law. In conclusion, an internship is one of the most valuable experiences a student can have during a law school career. To draw a comparison between athletics and the practice of law, consider the following. 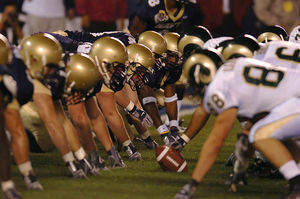 For a football player to make it to the Super Bowl, the football player must participate in both practice and regular season games. 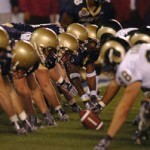 Compare the ultimate job you want to obtain in the legal profession as the Super Bowl. Your law school education is akin to practice. Law school is where you learn and develop your running, passing, and tackling skills initially. Your internship is similar to regular season games where you test and prove your skills. Ultimately, if you prove yourself worthy, by winning enough “games,” you can get a ticket to the big show (your first legal job), which is the ultimate goal for all of us. In short, an internship can be a valuable addition to a law school education because it can give context to one’s education, help one develop skills, and help one’s resume stand apart. Next Next post: What’s Up With SOPA?